Picture this common scenario we’ve all experienced: you cut your skin. It bleeds. It keeps bleeding. You apply pressure. You put on a band aid. Eventually, it stops bleeding. A scab (a bunch of platelets in your blood) forms. After a few weeks, the scab falls off. Who would have thought that possible? The closing of a wound by your skin has to rank among one of the most amazing feats your body performs. Repairing broken bones is another one. 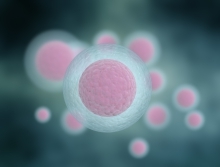 So how does the science of wound healing apply to skin care? As soon as an injury occurs to the body, the body sends out immediate warnings and repairs. After all, our first order of living is surviving to the next day. Platelets are the first blood cells to respond assuming you are bleeding. Platelets are the smallest cells in your blood that are literally shaped like plates. Their sole job is to stop bleeding. And they take this job seriously. Platelets are sent to the damaged blood vessel (why you’re bleeding in the first place) and immediately form together and start growing tentacles like an octopus. They do this until the blood vessel is repaired. This process is known as clotting. Once the wound is clotted, air dries out the clot and it turns to a scab. Beneath the scab, new skin cells repair the damaged blood vessels while infection-fighting white blood cells attack any germs that may have entered. Depending on how deep and serious the wound is (from the tiniest scratch your kitty gave you to the biggest puncture wound from a broken shard of glass), the scab will fall off after a couple of weeks, leaving a new layer of skin beneath it. HELP! I HAVE A SCAR! Unless your cut is very superficial, you will have a scar. 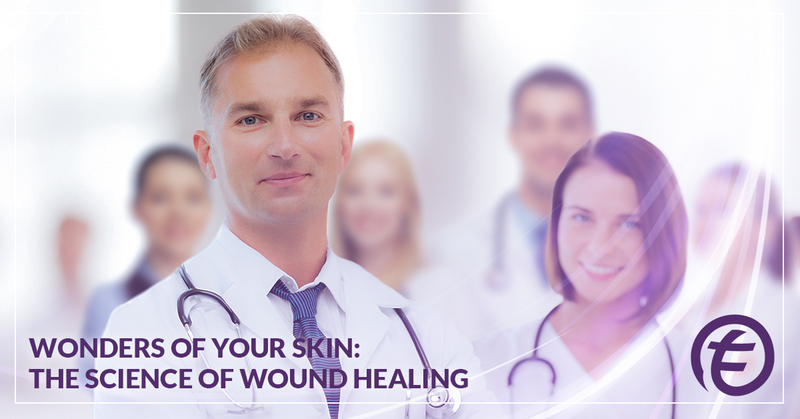 Scarring is the last stage in your body’s wound healing process. Collagen, the same substance that provides your skin with firmness and elasticity and that we associate with youth, actually repairs and closes the wound. At first, your scar (or your new skin) is a reddish-pinkish color. This color can last for months as your body continues to heal that area. However, there are steps you can take to aid your new skin in healing and minimize the impact of your cut. Assuming the cut is minor and you don’t need stitches, keep the wound moist at first to aid in the formation of a scab. Avoid the sun. Sunlight can accentuate the discoloration and actually make the color harder to heal. Let it heal! Don’t pick the scab, which can damage the new skin underneath, prolonging the healing process and possibly exacerbating the wound,increasing the risk or a more permanent scar being left behind. Use a wound-healing cream to keep your wound soft and supple — just like a baby’s. When choosing a wound healing cream, the quality of the ingredients matters. At Tru Energy, our all-natural skin care products are designed to aid the body in producing collagen and reinforcing the body’s natural ability to heal. Our Protective Therapeutic Daytime Treatment cream is a rejuvenating hydrator that softens, firms, and brightens the skin. Full of oil-protected vitamin C, our cream will reduce the redness and aid in smoothing it out with the rest of your skin. For nighttime treatments, try Tru Energy’s Restorative Nourishing Overnight Treatment cream. Our cutting-edge nutrients visibly restore elasticity and leave skin looking and feeling firmer, more supple, and more radiant. The overnight treatment is enriched with essential antioxidants and vitamins to restore the delicate chemistry of your skin, while a unique moisturizing complex provides immediate and long-term hydration. Use our all-natural cream in the wound healing process to boost the skin’s ability to recharge and rehydrate, enhancing the nightly repair process and stimulating natural collagen production. Scars are a part of life. You can’t learn to walk, ride a bike, or roller skate unless you fall. Most of life’s experiences require some kind of risk factor. Some are inherent like skydiving. Others are minor risks such as learning to surf, riding in a hot air balloon, or riding a rollercoaster. Some are life-long dreams come true like climbing Mount Everest. Some are monumental like learning to walk again with a prosthetic limb. Others are only risky to the person. Saying ‘hello’ to the girl you like across the room. Walking into a gym when you’re obese, driven by the innate desire to change your life. Standing up to a bully. Saying ‘no’ to drugs. Choosing to walk away when your best friend sprays graffiti. Putting your pet down when it’s in pain, and all you want to do is hold on to her forever. Forgiving your father who abandoned you. Standing by your son when he lands in jail. Listening to a best friend’s pain. Life is full of choices. Some of these choices lead to scars. We all have scars, but it’s how we bare them that matters. We at Tru Energy believe in the body’s natural ability to repair itself, and all of our all-natural skin care products are specifically made to support and enhance this. Our products are all centered around enhancing and encouraging collagen production, which is central to the healing process. We at Tru Energy believe nature knows what she’s doing, but like the flowers who couldn’t survive without the honey bee’s unwitting pollination skills, our skin could use a little help as well. Visit us online today!